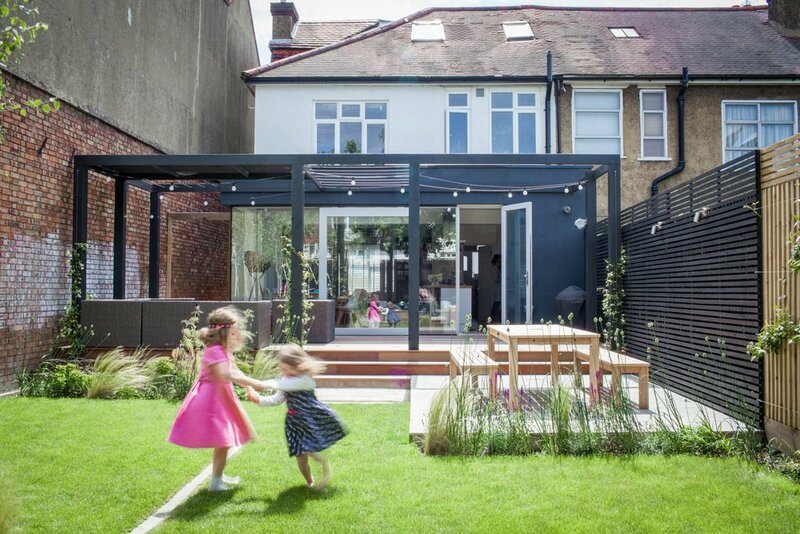 This young family wanted a large lounge area and also required a solution to create some shade near the house. 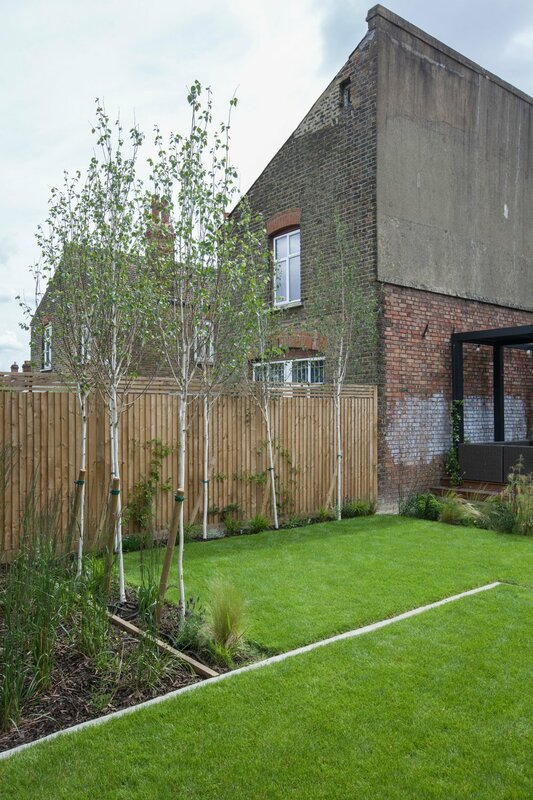 An 8ft trampoline needed to be integrated into the design, and as much lawn retained as possible. 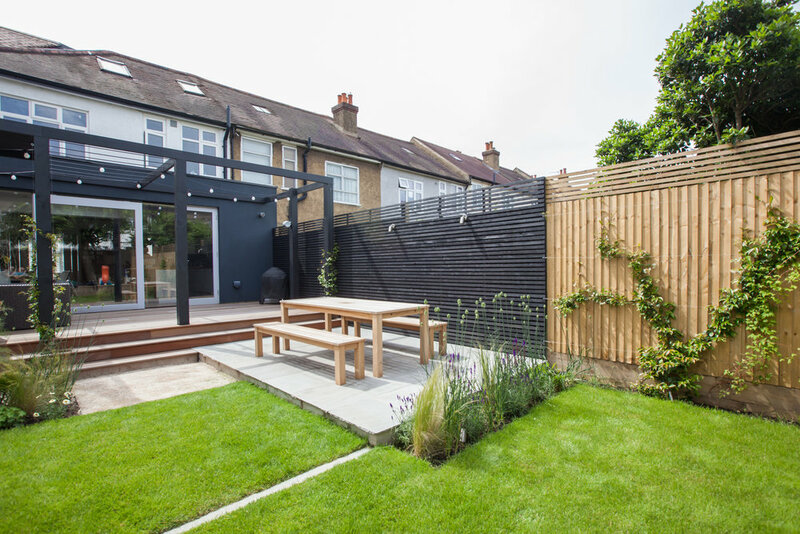 They also wanted a screen for the right hand side neighbour's garden and a separate dining area - all this to fit a 16 x 8 metre plot. I created a large deck with a Mondrian-inspired contemporary pergola. The pergola frames views while creating some dappled shade on a section of the deck and allows flexibility of use. It acts as a frame to hang a hammock, swing, canvas or some fabric. The dining area is on the lower level but a step up from the lawn to create interest and an overlapping effect.